Henley finally arrives at the boarding house where she's staying. It's here that she meets the widows and Mr. Grieves, and is warned not to go upstairs. 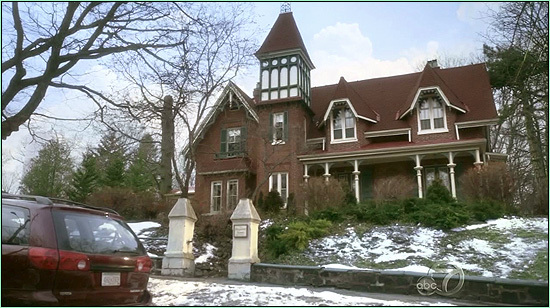 This is actually Terralta Cottage, at 160 Dorset Street West, in Port Hope, Ontario. A lot of the action takes place at the police station. 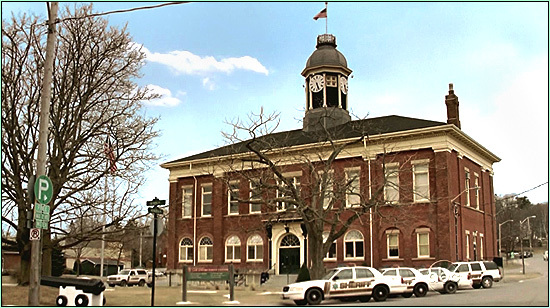 This is actually Port Hope's Town Hall (built in 1851) at 56 Queen Street. A few of the businesses on Haplin's main street are featured in the pilot. 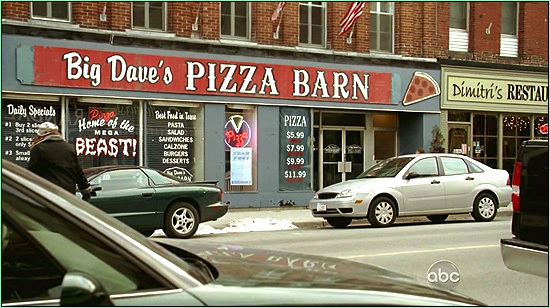 One is Big Dave's Pizza Barn, where the owner imports New York tap water for his pizzas. This is actually an empty storefront at 51 Walton Street, in Port Hope. the mysterious Merritt Grieves (Sam Neill). This storefront is at 59 Walton Street, in Port Hope. Over the years, it has housed a number of businesses, most recently an antique store. 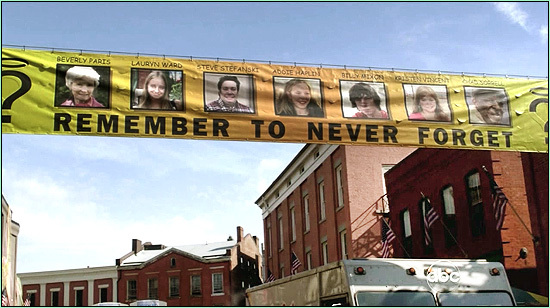 a banner reminding the town of the missing victims of "The Magic Man". 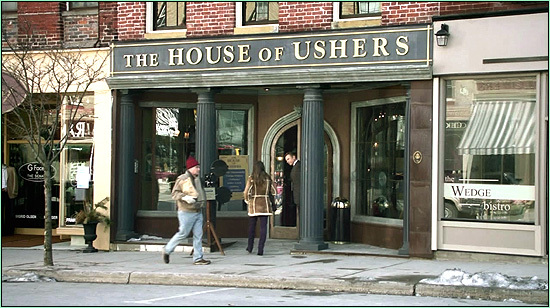 This banner scene was filmed on Queen Street, looking north to Walton St., in Port Hope. 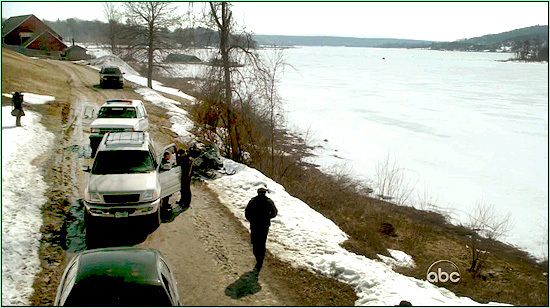 (Some of the later Thaw Fest scenes were filmed at Montebello Park in St. Catharine's, Ontario). We have to go outside of Port Hope for this one. But not too far. at 93 Jury Drive, on the shore of Penetanguishene Bay, Ontario.